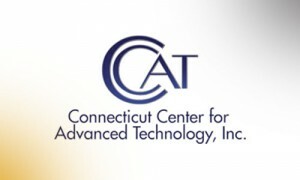 Connecticut Center for Advanced Technology, Inc. (CCAT) announced today the award of a $163,000 three-year contract from America Makes, leader of the National Network for Manufacturing Innovation in additive manufacturing. Supported by the U.S. Air Force and awarded in partnership with Optomec, Inc., the project will advance the use of aerospace alloys in additive manufacturing. “CCAT is eager to collaborate with America Makes members to advance fundamental and applied knowledge in additive manufacturing and to transition that knowledge to the U.S. supply chain,” stated Elliot Ginsberg, president & CEO, CCAT. “This is an important opportunity for CCAT to apply its assets and expertise to continue to move additive manufacturing forward,” said Tom Maloney, Ph.D., CCAT director of technology, research & applications. Under the project, CCAT will be a subcontractor to Optomec, and will lead primary efforts to optimize metal powder additive manufacturing processes to improve the quality of aerospace alloy parts in both areas of engineering and repairing. The work will utilize Optomec’s Laser Engineered Net Shaping (LENS) 850R additive technology at the CCAT Advanced Manufacturing Center (AMC). Optomec is at the forefront of additive manufacturing systems for high-performance applications in the photovoltaic, electronics, biomedical, and aerospace & defense markets. The company has a global customer base of industry-leading manufacturers. CCAT's AMC was named a ‘Center of Excellence’ by Optomec, and offers Optomec unique expertise, research, and development work in the use of Optomec's LENS 3D printers. America Makes is the National Additive Manufacturing Innovation Institute, which is a consortium of U.S. government, university and manufacturing industrial base organizations. America Makes strives to foster collaborative projects, in a pre-competitive environment, that further implementation of advanced additive manufacturing concepts and technology. It also endeavors to develop industry workforce skills necessary to support additive manufacturing in the U.S. In addition to CCAT and Optomec, other project team members include United Technologies Research Center, GE Aviation, Edison Welding Institute, Lockheed Martin Corporation, Rolls-Royce, University of Connecticut, Pennsylvania State Applied Research Lab, and Concurrent Technologies Corporation. The full project is valued at $4 million.